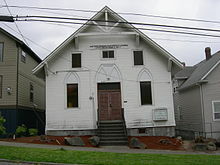 Atlantic is the northernmost neighborhood of the Rainier Valley, United States, between Mount Baker Ridge and Beacon Hill. Atlantic is located in the Central District of east-central Seattle, Washington, though it may also be considered part of South Seattle and the Rainier Valley. Atlantic contains the Judkins Park neighborhood. 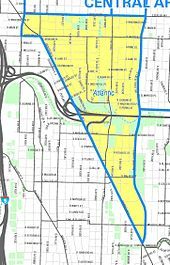 Atlantic is triangular, bounded on the north by E Yesler Way, beyond which are Mann and Minor neighborhoods; on the east by Martin Luther King, Jr. Way S, beyond which is Leschi on the Mount Baker Ridge; and on the west by Rainier Avenue S, beyond which is Yesler Terrace and the International District of Downtown Seattle as well as North Beacon Hill (with S Jackson Street and 12th Avenue S filling out a northwest corner). Atlantic Street Center, 2103 S. Atlantic Street. The center began in 1910 as a settlement house for Italian immigrants. The neighborhood suffered greatly during the 1960s through the early 1990s with the disruptions and widenings of Interstate 90 that wiped out a large number of homes in the area and divided the west of the neighborhood. It was not until the 1990s that large-scale development started again in the area. (2) "About the Seattle City Clerk's On-line Information Services". Information Services. Seattle City Clerk's Office. 2006-04-30. Archived from the original on 17 June 2006. Retrieved 2006-05-21. See heading, "Note about limitations of these data". "About the Seattle City Clerk's On-line Information Services". Information Services. Seattle City Clerk's Office. 2006-04-30. Archived from the original on 17 June 2006. Retrieved 2006-05-21. Maps "NN-1120S", "NN-1130S", "NN-1140S".Jpg [sic] dated 13 June; "NN-1030S", "NN-1040S".jpg dated 17 June 2002. Also maps Central Area (Central District) , Downtown , and Beacon Hill . Judkins Foundation (1999-02-09). "Where is Judkins Park?". Judkins Park Review. City of Seattle. Archived from the original on 2006-03-23. Retrieved 2006-04-21. Merritt, Mike; Goldsmith, Steven (1994-07-13). "The neighborhood that time forgot". Neighbors, History and background on Judkins Park, Neighbors project. Seattle Post-Intelligencer. Retrieved 2006-04-21. "The Neighbors project was published weekly in the Seattle Post-Intelligencer from 1996 to 2000. This page remains available for archival purposes only and the information it contains may be outdated. For more updated information, please visit our Webtowns section." Wilma, David (2000-05-22). "Residents file suit to stop Interstate 90 project on May 28, 1970". HistoryLink.org Essay 2448. Retrieved 2006-04-21. 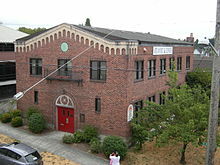 Wikimedia Commons has media related to Atlantic, Seattle, Washington. Links to the following about Judkins Park: "I-90 decimated the neighborhood, but residents rebuilt it", "Bureaucratic snafus kept area in limbo", "Diversity and location are drawing new residents", "Neighbors have kept the faith alive". See columns "History": links "More about the Central Area's history", "See photos from the Central Area: New", "Seattle Neighborhoods site" (cityofseattle.net); and "Resources". Links to local neighborhood weeklies. Keyword searches at http://seattletimes.nwsource.com/html/home/ The Seattle Times (free registration required for stories older than seven days).